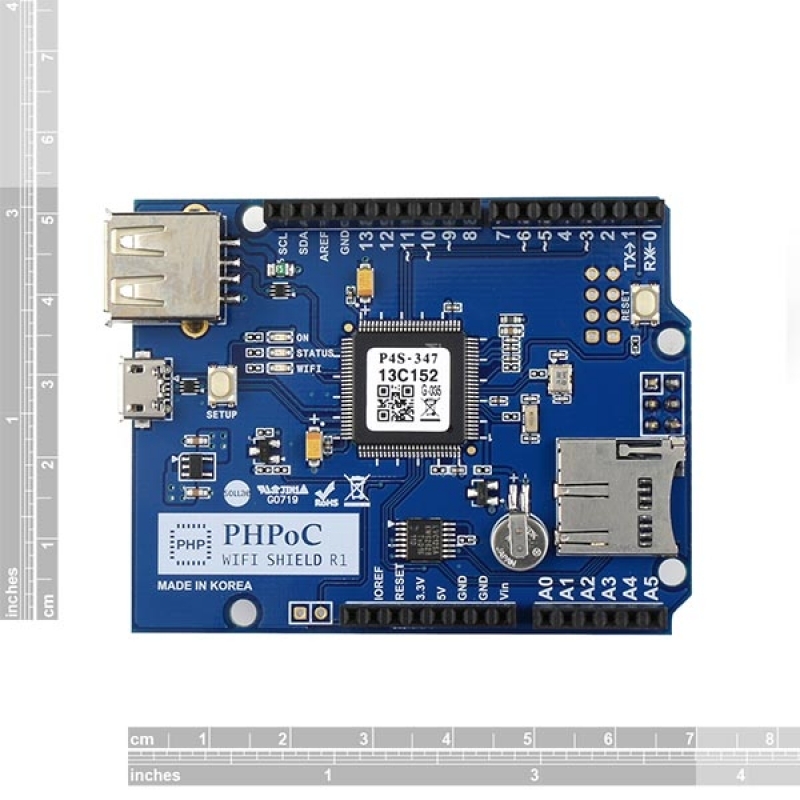 PHPoC WiFi Shield is compatible with Arduino Uno or Mega products. 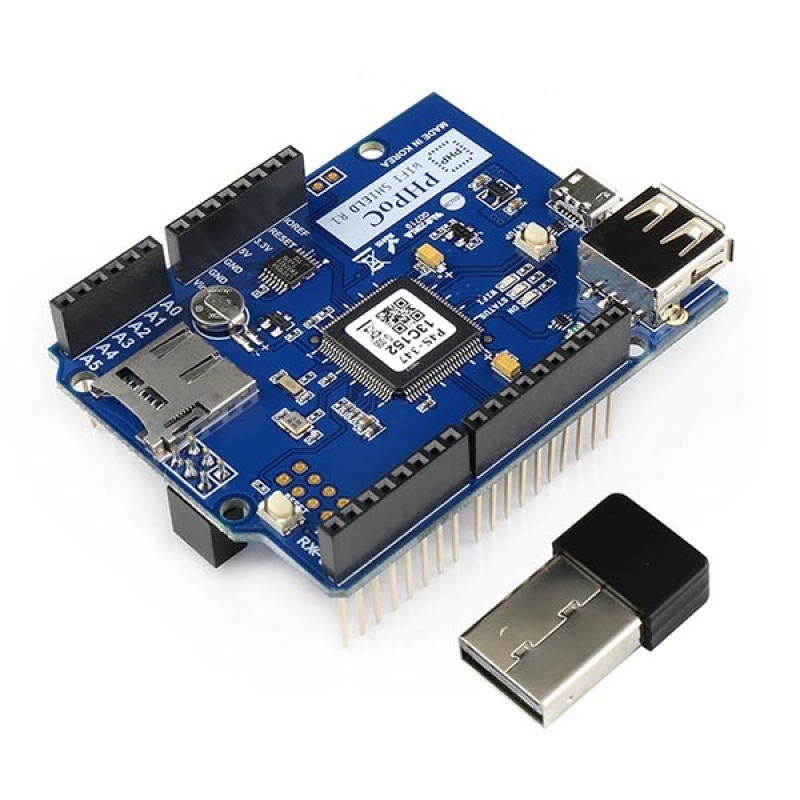 Equip the shield on your Arduino and connect a USB wireless dongle. 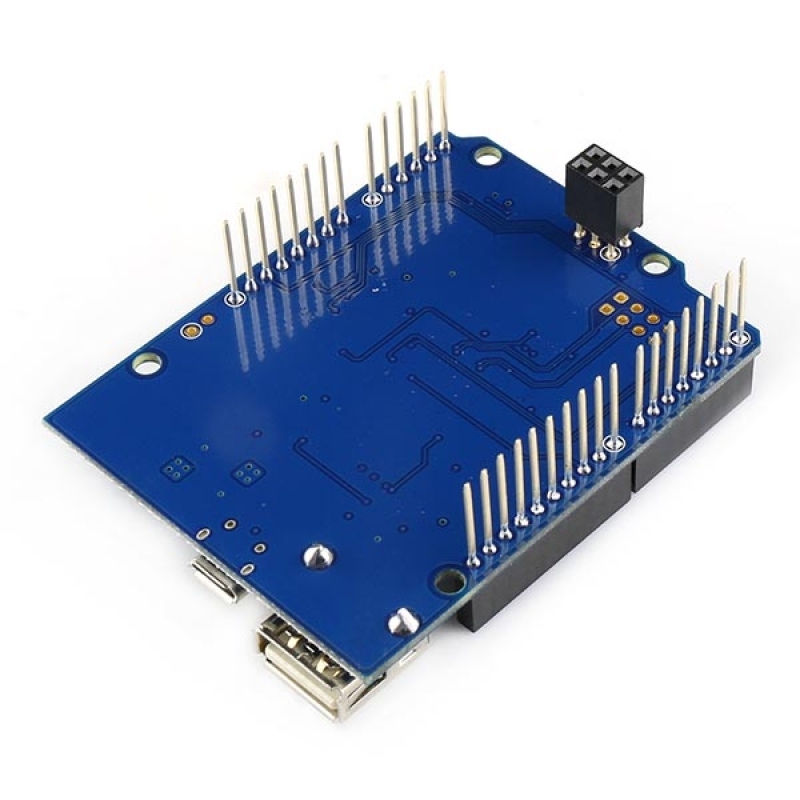 After a simple network setup, you can connect your Arduino to the Internet. 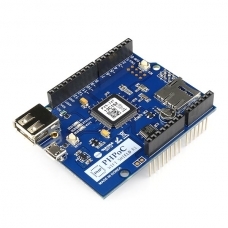 In addition to the network function, PHPoC shield supports a wide range of API. So take advantage of a wider range. In particular, a built-in web application provides easy web applications control and network setup. Also, you can monitor the output of Arduino serial monitor via Web from a remote location in real time.